Clint Eastwood’s Gran Torino received acclaim from critics immediately after its release in January 2009. Its well-intentioned depiction of the Hmong immigration experience was revelatory to several Americans, and Eastwood’s directing was lauded by several viewers, including the Asian-American demographic. However, the film ultimately fails in portraying the Hmong people as individuals, adhering to familiar stereotypes to heavyhandedly employ its point. The story follows Korean War veteran Walt Kowalski, a misanthropic, severely racist curmudgeon. His scathing characteristics give him a heightened sense of masculinity, and with that, he alienates himself from those around him. Much to Walt’s disdain, his neighborhood has become more heterogeneous. By chance and annoyance, he begins protecting his Hmong neighbors after they suffer a great deal of harassment from a group of teenage Hmong gangsters. Walt establishes a relationship with his seemingly feeble neighbors, juxtaposing his image of masculinity and redeeming himself of cynicism. Although Walt is written with great depth, none of the Hmong characters are multilayered. All of Walt’s neighbors are weak and passive, capturing the essence of the Model Minority. Specifically, the character that Walt comes closest to is a quiet, nerdy, frail boy-the quintessential Model Minority. Meanwhile, the gangsters, who are carelessly characterized by their urban vernacular, are uneducated and highly dangerous, exemplifying the Yellow Peril that frightens other White Americans in Walt’s neighborhood. Both of these representations are discriminatory primarily because of the extremeness with which they’re displayed. All Asians in this film fall under the two aforementioned stereotypes, and it’s surprising that not too many critics cited this as an issue. The lack of range that comes with all of the Hmong characters in this film is a testament to the poor penmanship of screenwriter, Nick Schenk. In February of 2009, director Danny Boyle’s film, Slumdog Millionaire, received the honor of highest degree-the Academy Award for Best Picture. His rags-to-riches fairy tale was instrumental in introducing westerners to the world of Bollywood cinema, a Hindi-language based genre of the Indian film industry. 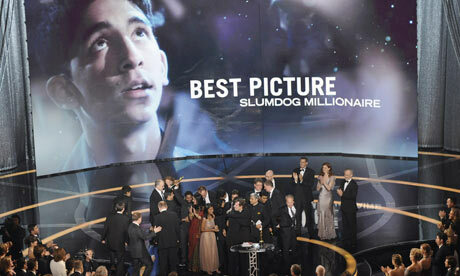 Slumdog Millionaire, which is technically an homage to Bollywood rather than an actual addition to the brand, certainly brought several worlds together at the time of its release, and its long lasting reception on the Western hemisphere proves that American moviegoing has become more panoramic. The film revolves around Jamal Malik, a boy raised in the slums of Mumbia, India who, despite having a severe upbringing, surpasses his country’s expectations when he flourishes on India’s version of Who Wants to be a Millionaire? Although the story occurs in a foreign environment, it’s very representative of the lives of many Indian-Americans here. Just like Jamal, several Indian-Americans have drifted through numerous adversities before finding fortune and success. Unfortunately, immigration for all Asian ethnicities has always been incredibly taxing, and not every newcomer has found success. The balance of harshness and opportunity is evident in Slumdog Millionaire’s visceral style of filmmaking, and it is highly success in drawing attention to the experiences of several minorities. The film’s generous response in the West has strengthened the identities of Indian-Americans. For example, the skilled all-Indian cast exhibits talents of Asian-Americans, and the movie’s featured song, “Jai Ho” (literally translated to “Be victorious!”) has become a renowned expression of hope, determination, and unity; it has easily become another 2009 spectacle of America’s progressive shift towards the acceptance of other cultures. Two of Summer’s best films, Up and Drag Me To Hell, feature Asian-American characters without highlighting their race as a hindrance or an aid. Sam Raimi’s horror comedy, Drag Me To Hell, has an Asian-American character, Stu, antagonize the main character, Christine, at her work place. Both are competitors for the same promotion, and although the film has a handful of opportunities to exploit Stu’s race for humor or further hostility, he is impartially utilized as a simple villain without regard for skin color. Stu could have been constructed as a model minority, but with sharp writing and impressive acting, he’s just a conniving person who could belong to any ethnic group. Pixar’s most recent effort, Up, is also antithetical to the Hollywood image of Asian-Americans. One of the film’s principle roles, Russell, is racially ambiguous, but many have interpreted him to be of Asian descent. Russell is an overachieving but clumsy Wilderness Explorer. However, his ambition doesn’t stem from his race, an easy conclusion one could jump to; rather, he is neglected by his father, and each wilderness badge he obtains partially satiates that void in his life. The experts at Pixar could’ve gone with a much simpler route, promoting his Asian heritage as a basis for his high achievements. However, they crafted an emotional and believable dimension to complement his character without accentuating his physical appearance in the process. 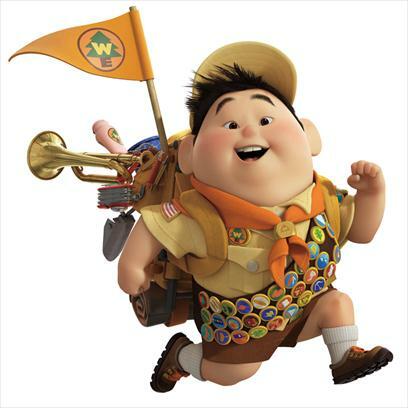 In addition to Pixar’s thoughtful character design, Russell was voiced by Jordan Nagai, an Asian-American voice actor. This surpisingly significant choice by Pixar opposes Hollywood’s old penchant for casting white actors to voice or even portray Asian-American characters. In contrast to Drag Me to Hell and Up, another successful Summer comedy, The Hangover, capitalizes on Asian stereotypes for effective yet shallow humor. The plot follows three thirty-somethings around Las Vegas as they recover from a hangover with intentions of unscrambling the previous night’s events. The inherent simplicity of the film is a means to introduce bizaare situations and outlandish peripheral characters. 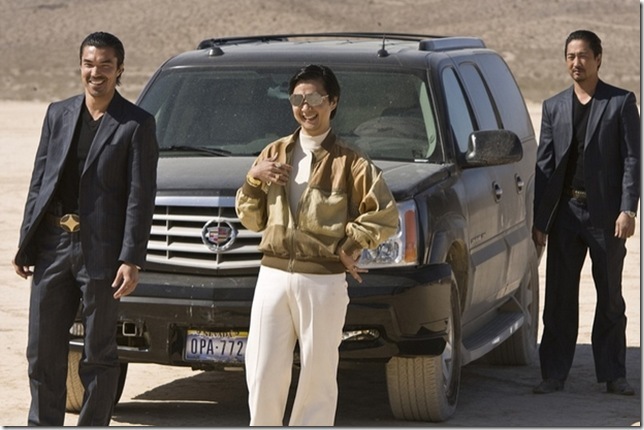 One particular scenario is when the main trio discovers a naked Asian man, fittingly named Leslie Chow, in the trunk of their car. 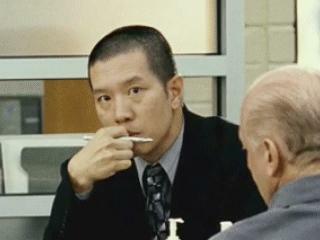 What ensues is undoubtedly hilarious (like the rest of the movie), but the humor comes at the cost of Leslie Chow’s physical appearance and overall demeanor. Leslie is extremely effeminate, and his flamboyant characteristics directly allude to the stereotype that Asian men are feminine and even childlike. His scenes are definitely funny, but the inspiration for this humor begs for interrogation. Why is it that Asian men are seen as womanly? Furthermore, why is it hilarious when we witness this stereotype? And thus abruptly ends my examination of the roles of Asian-Americans in some of 2009’s films. The importance of my identity and how it relates to one of my biggest passions-cinema-helps me understand not only myself but also the world at large. If you read this entire post, I thank you. Any comments on the subject would be greatly appreciated. Writer Nick Hornby’s (High Fidelity, About a Boy) most recently adapted screenplay is quite the morally ambiguous tale. 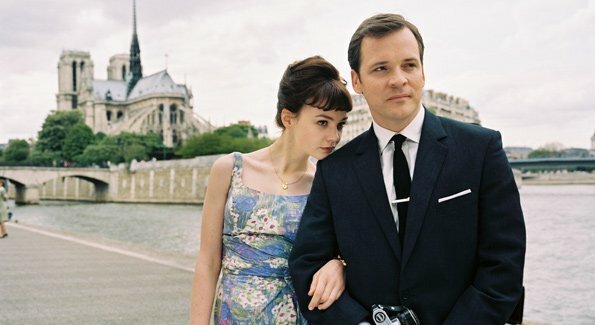 However, because of his sophisticated writing, Lone Scherfig’s pristine direction, and the entire cast’s wonderful performances, An Education is able to tell an inappropriate story with great taste and thought. Jenny (Carey Mulligan) is a sixteen year old intellectual whose path in life has been meticulously determined by her parents. Her inquisitve and independent mind, however, gravitates towards things outside the linearity and banality of school. Literature, art, music, films, other cultures. She serendipitously comes across David, a charming man in his thirties who shows her just what she wants, and the two eventually form a romantic and, therefore, taboo relationship. Carey Mulligan delivers one of the best performances I’ve seen this year, and the supporting cast is just as powerful. Peter Sarsgaard, who plays David, is attractive with his charm, but a hint of sliminess permeates through his good looks. Alfred Molina does very well as Jenny’s father, a stern but ultimately naive man who’s easily deceived by anything that might benefit his daughter. The film’s heavy themes are expertly balanced in the modest performances. Never does An Education become extremely melodramatic, and this is a testament to the elegant style of British filmmaking. The art direction is both dazzling and quiet as well. The film transports us to 1960’s England, displaying their way of life through jazz clubs, auctions, concerts, fine dining, etc. Each place we’re taken to feels so wholesome and comfortable, and they never become distractions to what the movie is trying to say. The film clashes traditional ideals of education against the more independent approach to learning. Jenny’s character is present in so many of my college peers who have difficulty finding value in going to school just to get a pointless degree when we’re capable of learning so much more about the world through travel and experiences. An Education handles these thoughts impressively, and it ends by showing us how young Jenny truly is, despite her vast knowledge of pop culture. Unfortunately, this movie crumbles in the final ten minutes, and it’s heartbreaking to watch. After telling its story with poise and profoundness, An Education falters in its final moments, wrapping up in conventional fashion. The movie also fades out with a voice over, but it’s completely out of place because there is no other narration present in the film. An Education is a graceful coming-of-age story that provides laughter, reflection, and wonder. The colors of the world coincide with the deep characters, and the elegant pacing of the film (minus the last ten minutes) flows very well with the great writing. As the end of 2009 approaches, numerous top ten lists will be made; I see myself putting An Education on mine. Since 1984, Joel and Ethan Coen have distinguished themselves as unique auteurs with a penchant for the absurd. Their films, while typically boisterous, are expertly sculpted with irony and quietness to say something significant about the world at large. Their latest attempt, A Serious Man, is relatively much simpler in narrative but far more complex in meaning. Michael Stuhlbarg plays Larry Gopnik, a physics professor who’s plagued with constant misfortune. His faith and intellectuality both lead him to ask why such a horrible life has been handed to such an earnest man, but a lack of answers causes him to stumble further into displeasure and confusion. Just like No Country for Old Men, the film concludes in minimalistic yet profound fashion, leaving us unhinged in a state of mystery. The beauty of A Serious Man lies in its maturity. The film is outstandingly funny, but at its core dwells a bleak and perhaps discouraging set of truths. The Coens deliver intelligent humor by writing dialogue that makes us laugh and ponder. The movie is, yes, quirky, but it is nowhere near shallow. Each person who watches this film will be left with a different taste, but it is in these varying opinions that A Serious Man will find comfort and greatness. The Coens leave us with questions, and we must find the solutions ourselves through experiences and conversations. The movie does a fantastic job nudging us in the right direction. The film requires a lot of reflection. Although every character has weight, it can sometimes be hard to decipher their purpose. The openended yet tense climax can be hard to swallow, and some dream sequences may just be a bit too far out there. Conversations and repeat viewings should heal any qualms with this film, but these aforementioned aspects are ultimately what make A Serious Man so unique and precious. Under the careful and ambitious eyes of director Mike Newell (Harry Potter and the Goblet of Fire) and producer Jerry Bruckheimer (Pirates of the Caribbean), Prince of Persia could be a surprisingly fun and colossal adventure, perhaps turning the tide for video game movies. The trailer, which poorly discloses the actual narrative of the film, highlights several moments of grandeur, action, and even comedy.